NEW YORK With an estimated 65.6 million viewers, the television audience for the second presidential debate between President Barack Obama and Republican Mitt Romney was smaller than the first  but only slightly. The Nielsen company said 67 million people watched the first debate a week earlier. Tuesday's town hall style debate at Hofstra University was still seen by more than any of Obama's three debates with John McCain in 2008, and had more viewers than any second presidential debate since 1992. It was shown live on 10 television networks, with the Spanish-speaking Univision and Telemundo airing it on tape delay. The audience was likely larger when viewing on tablets and other computers is considered, but Nielsen does not have those measurements. NBC had 13.8 million viewers, more than any other network, with ABC second at 12.5 million, Nielsen said. Fox News Channel's audience of 11.1 million viewers narrowly missed becoming that network's most-watched telecast ever. The Joe Biden-Sarah Palin debate in 2008 holds that distinction. CBS had 8.9 million viewers for the debate, CNN had 5.6 million, MSNBC had 4.9 million and the Fox broadcast network had 4.6 million, Nielsen said. 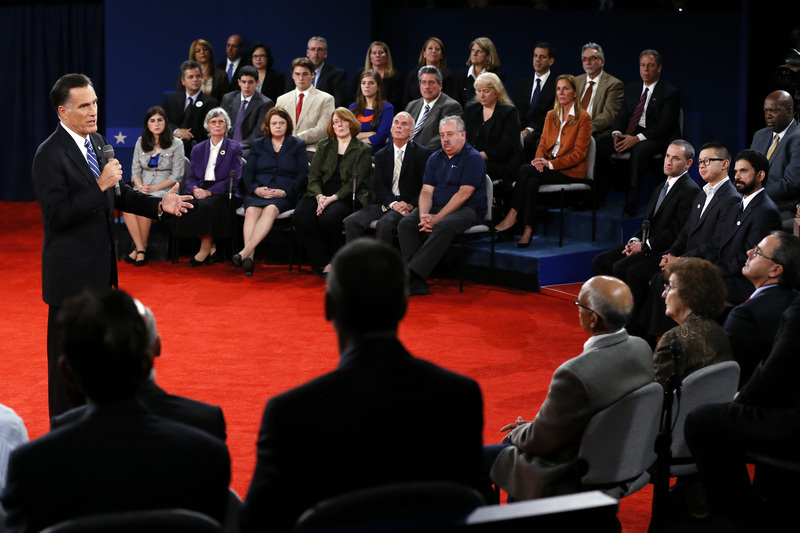 The season's final debate, moderated by Bob Schieffer, will be held next week.